Named in honor of Arthur ’62 and Rebecca Samberg, the Samberg Conference Center is part of a comprehensive renovation of the historic Morris and Sophie Chang Building (E52). 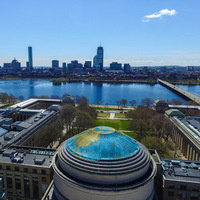 Located on Memorial Drive overlooking the Charles River, the Center encompasses the sixth-floor space (formerly known as the MIT Faculty Club) and a 20,000 square-foot, glass-enclosed seventh floor. 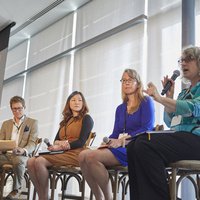 The Center hosts a variety of meetings, events, and conferences sponsored by members the MIT community.